My friend over at Crafty Morning has been working on a Christmas/Winter themed Alphabet series and I decided to do a couple of the letters in the alphabet to go along with her series. 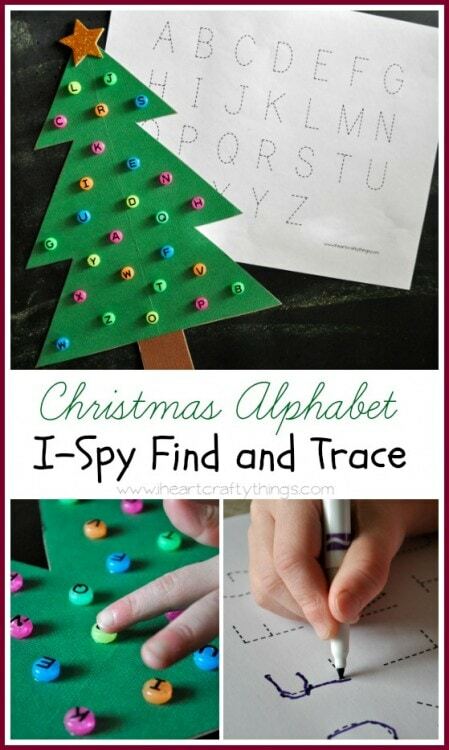 Some of the letters are really tricky for a Christmas or Winter theme so hopefully these ideas can help you with some of those difficult letters. 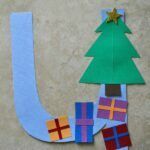 If you have a preschooler, these letter crafts are a great way to help them learn their alphabet! 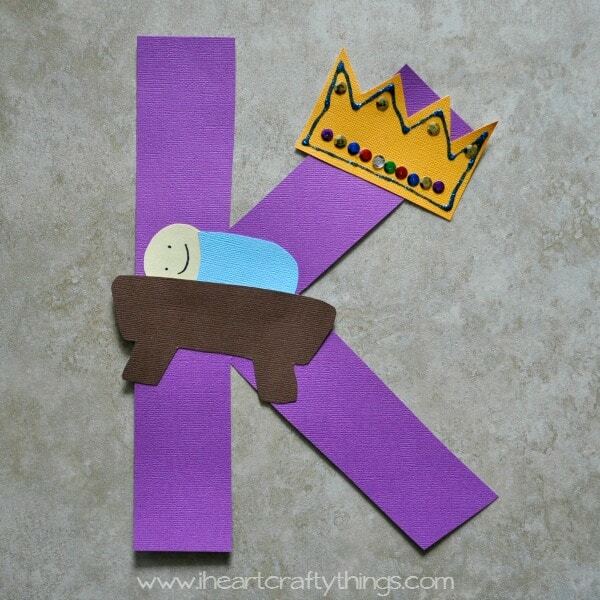 I’ll be breaking my three letters up into different posts and first I’m sharing our K is for King Alphabet Craft. Our letter K pays homage to a classic Christmas carol, We Three Kings of Orient Are. We know from reading the Bible that three wise men followed the sign of the star searching for the child that had been born King of the Jews. [Matt 2:1-12] It seems only fitting to represent K is for King. 1. 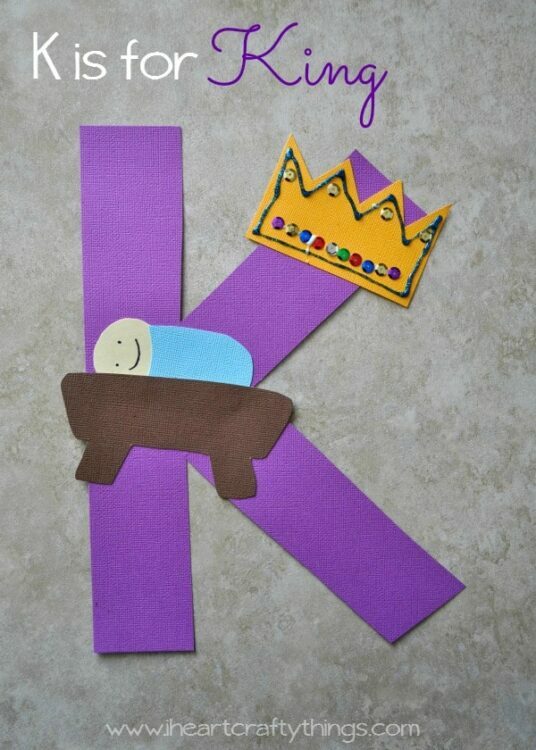 Start by cutting your K out of your purple cardstock paper or you can choose whatever color you wish for the K.
2. Also cut a crown shape out of your yellow cardstock, a manger from your brown cardstock paper, a baby Jesus head from your cream cardstock and a blue oval shape for Jesus wrapped in a blanket. 3. 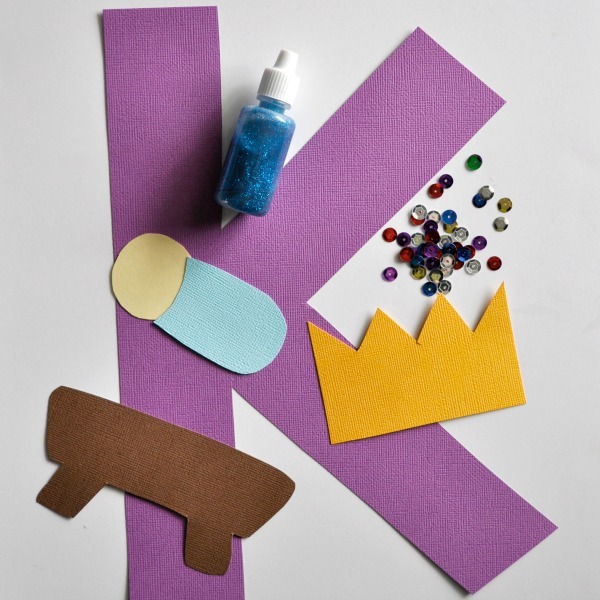 Glue all your pieces onto your letter K. Decorate your King crown with your glitter glue and sequins. Let it dry completely. So simple and a great way to incorporate learning about the birth of Jesus! 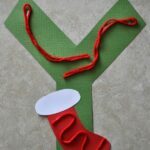 Make sure to check out our Letter U and Letter Y Christmas/Winter Alphabet Crafts. 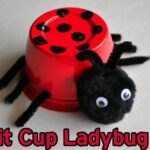 Follow I Heart Crafty Things’s board Alphabet Crafts & Activities on Pinterest.